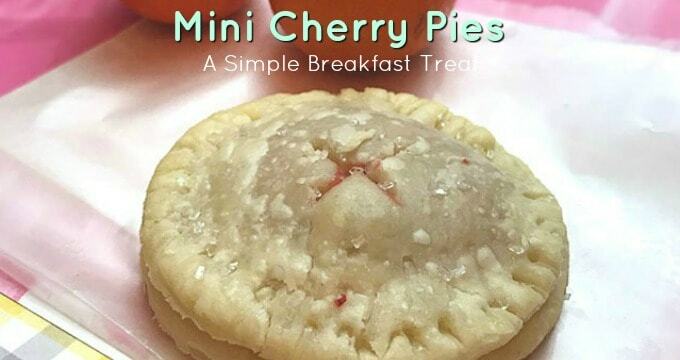 Bake pretty treats for a special family breakfast with this mini cherry pie recipe. Mornings around here are on a set routine and adding time for baking usually isn’t part of that routine. I barely have enough time to find socks for my kids in my ever-growing pile of laundry before we’re out the door to school. I used to love surprising my kids with a special breakfast when they woke up on Valentine’s Day morning. I’d have plastic heart plates with a little treat set near their plates. Then they got a little older and I found myself waiting until the last minute to plan these special mornings. Eventually they were a little less surprising and much less special. Where I went wrong is in my planning. Have you ever raced to the store for last minute stocking stuffers only to find the shelves empty? Sometimes I’ve found that a new holiday display is out before I’ve even shopped for the first one! So I’ve learned to plan ahead for special days. This doesn’t mean I bake something or give treats for every holiday in the year. We have a few traditions and those are the ones I focus on to create special moments for my family. So back to these super simple mini pies. They’re actually called hand pies, and they take about 20 minutes to prepare and bake. I told you it was simple! You can even mix the ingredients the night before and refrigerate them until you’re ready to bake. 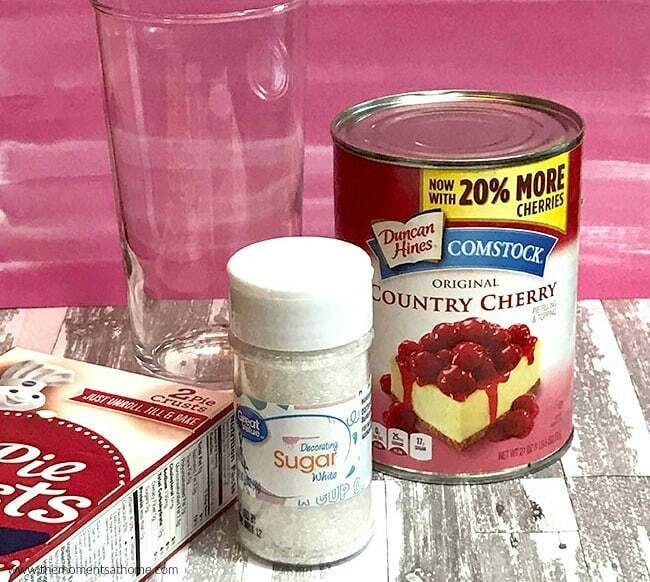 Empty the cherry pie filling in a bowl and stir in the cream cheese. Set aside. 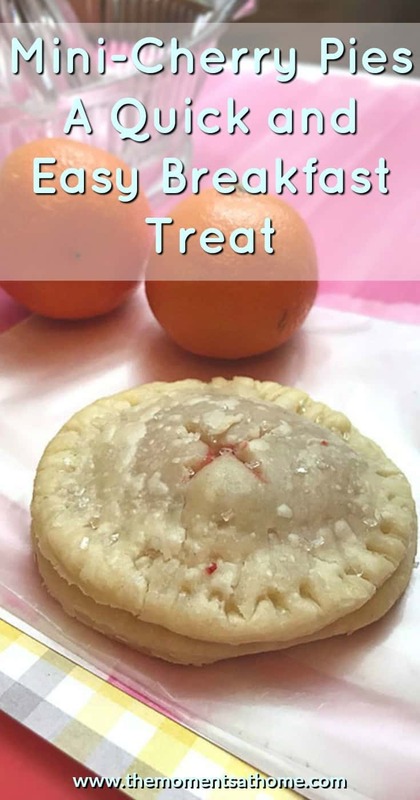 Roll out the pre-made pie crust and use the open end of the glass to cut a circular shape in the dough. 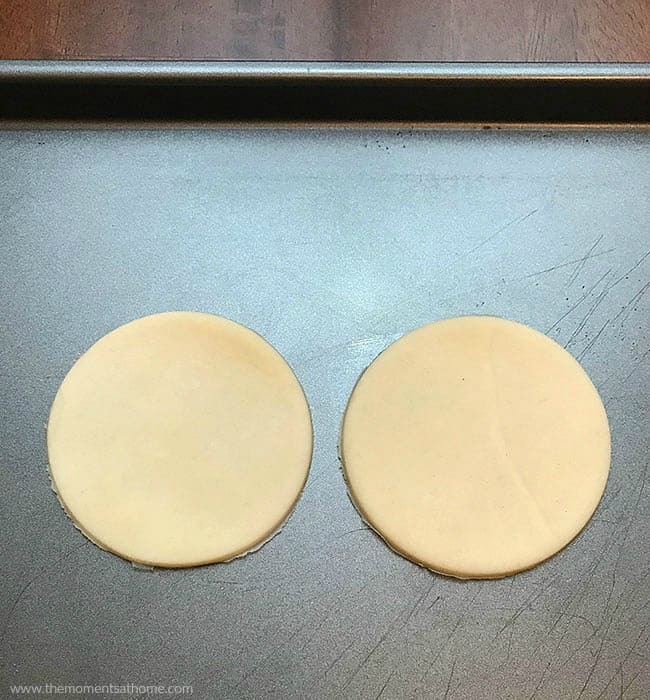 Cut two circles for each hand pie you’ll be baking. Spoon 2 T of filling on 1 of the 2 hand pie circles for each pie. 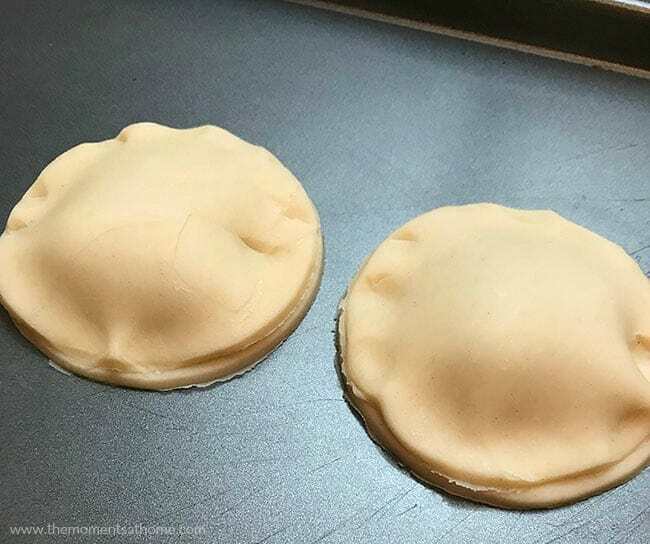 The filling should only be in the center of the dough. 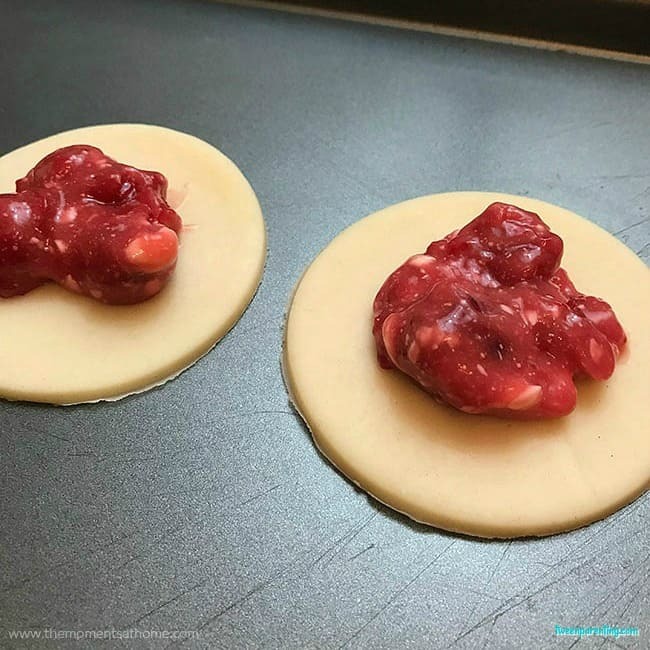 Place the second circle over the first and gently press down the edges to seal the filling in the pie. Use a fork to create a decorative edge by pressing the prongs around the pie. .
Cut a small X in the center top layer of the pie as a vent. Brush with butter and pour sugar crystals over the pies. Let cool and serve warm.